The universally flattering A-line skirt in a pretty print fabric is an essential item in any wardrobe. ■ 5/8-in. 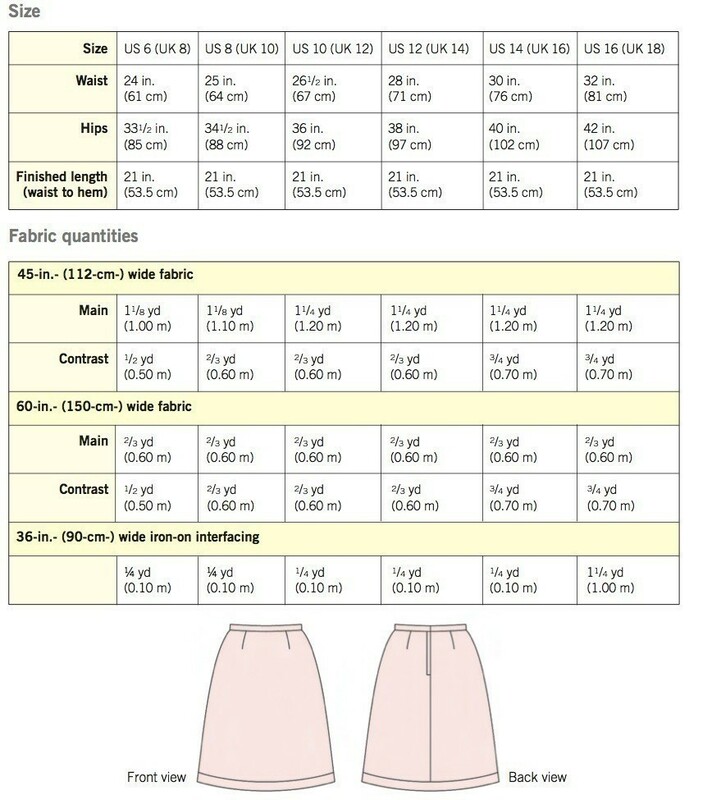 (1.5-cm) seam allowances are included unless otherwise stated. 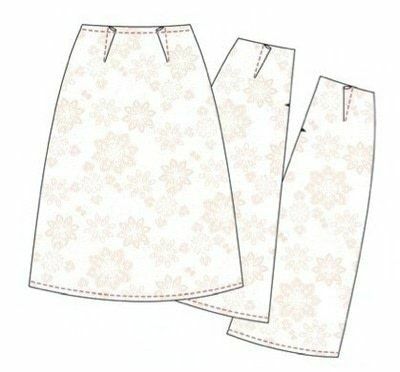 ■ Stitch seams with right sides together and notches matching, unless otherwise stated. Sewing Machine Basics by Jane Bolsover, photography by Penny Wincer Â© CICO Books. © 2019 Jane Bolsover / Ryland Peters & Small · Reproduced with permission. Use pattern pieces 1, 2A and 2B, and 3. Fabric quantities and cutting layouts are given for one-way fabrics only. If you choose a fabric with a two-way design, you may be able to lay your pattern pieces into a smaller amount of fabric—but remember, grainlines must still run parallel to the selvage. 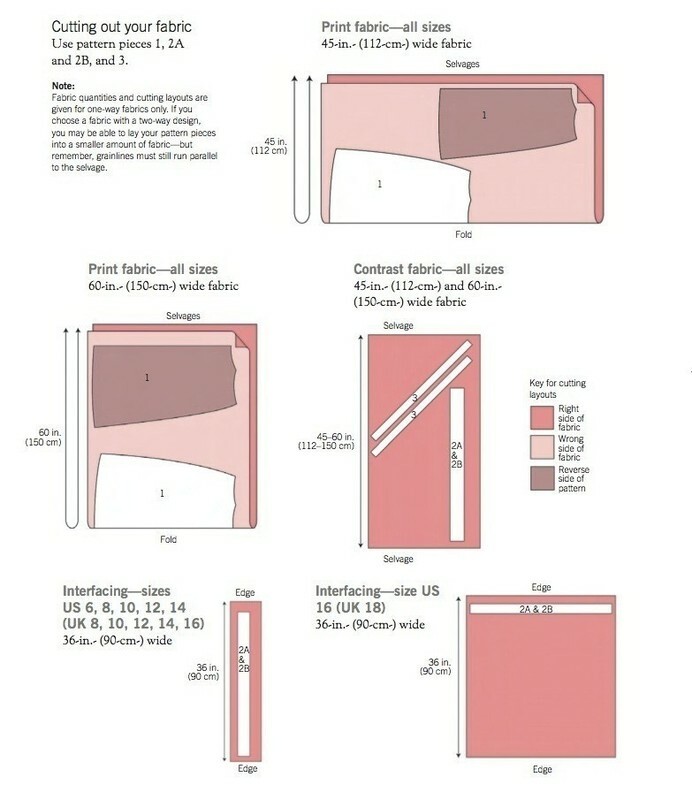 Following the appropriate cutting layout, cut out all your fabric and interfacing pieces. Staystitch the waist and hem edges of all skirt pieces (see below). Stitch the darts on the front and back skirts and press toward the center front and center back. 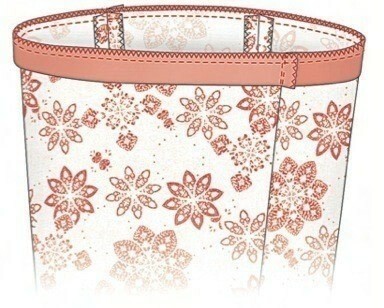 then neaten the seam allowances, including the zipper opening edges, separately. Insert a zipper. 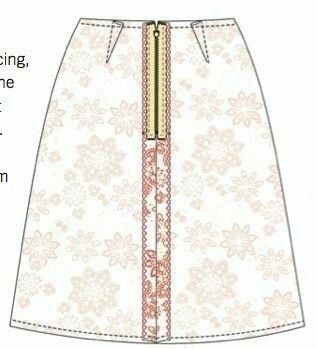 With right sides facing, pin, baste (tack), and machine stitch the back skirt to the front skirt at the side seams, reverse stitching at each end to secure. 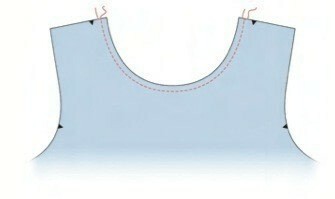 Neaten the seam allowances separately and press the seams flat. Attach the waistband. With right sides facing, join the contrast hem strips together at the short ends to form a ring. Neaten the seam turnings together and press to one side. With right sides together, pin, baste (tack), and machine stitch the contrast strip to the skirt hem edge, matching the side seams and raw edges and taking a 3/8-in. 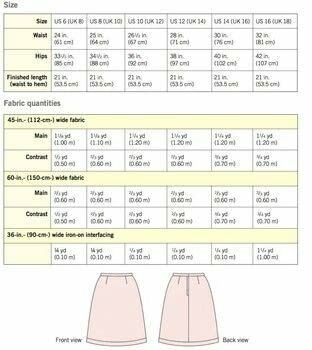 (1-cm) seam allowance. Neaten the seam turnings together and press toward the skirt. Run your thumbnail over the lower raw edge of the strip to fray the edge slightly and make it go wavy. Staystitching is a row of machine stitching that is worked on the cut garment pieces before you start to sew them together. It is used on curved and bias seams such as necklines and waist edges, to stop them from stretching while you are making the garment up. Work a row of medium-length straight stitches just inside the seam allowance of your cut piece. Lay the cut piece back on your pattern to double-check it is still the same size and shape. Continue making up the garment as normal.